At Modern Restaurant Management (MRM) magazine, we are research junkies and love to comb though reports to find things we think will be useful to our readership. This end-of-March 2017 edition features information on the impact of restaurants in the changing retail landscape, the popularity of craft beer worldwide, grilled cheese facts, peanut power and the importance of having clean restrooms. Coming off a strong performance in 2015, Technomic’s Top 500 chain restaurants experienced a deceleration in 2016 with cumulative sales growth checking in at 3.6 percent, down from 5.2 percent the prior year. Net unit growth stayed relatively stable at 1.7 percent, compared to 1.9 percent in 2015, pointing to declining customer traffic and weakening same-store-sales as the key reasons for the slowdown. The Technomic Top 500 Advanced Chain Restaurant Report provides Technomic’s exclusive one-year sales forecast by menu category, an expanded outlook and opportunities section, as well as key themes to help navigate the current industry landscape. Full service chains within the Top 500 ranking took the biggest hit in 2016, seeing their total sales growth slow from 4 percent to 1.4 percent while unit growth also fell from 1.1 percent to 0.5 percent. While these declines can mostly be attributed to the lagging performance of the top casual dining chains, there were still bright spots to be found, with sales increases in fine dining chains by 4.9 percent and polished casual chains by 4.3 percent. Relative to its full service counterpart, limited service fared better in 2016, growing its sales at a cumulative rate of 4.4 percent with unit growth of 1.9 percent. Propelling the segment forward was the continued success of fast casual which saw annual sales growth of 8.1 percent. However, signs of segment maturity are starting to become visible as sales growth for fast casual chains dropped under double digits for the first time in recent history. Quick service chains, who make up over 60 percent of the Top 500’s total sales volume, chipped in sales growth of 3.7 percent, down from 4.6 percent in 2015 while unit growth was unchanged over the past two years at 0.9 percent. The increasing popularity of dining out is revitalizing retail real estate around the globe by creating a true sense of community. The foodservice industry is expanding at an exponential rate with the amount of space dedicated to food growing from five percent a decade ago to 15 percent today. This trend is expected to increase to 20 percent by 2025, according to a global study “The Successful Integration of Food & Beverage within Retail Real Estate” from the International Council of Shopping Centers (ICSC). The study, unveiled at ICSC’s inaugural Food for Thought Conference today, explores foodservice’s impact on retail real estate and strategies to seamlessly integrate restaurants to complement and enhance offerings with the overall retail real estate experience. For the first time ever in 2016, U.S. restaurant sales eclipsed grocery store sales, a signal of the growing popularity of foodservice. Europe is tracking in the same direction and Asia was the leader in this trend. Serving Up Tech: Previously considered immune to the effects of technology, foodservice has found that technology touches every aspect of the dining experience. From improving operational efficiency, ensuring guest retention or easing the ordering process, technology serves both as an enabler and disruptor to foodservice. Consumers are adopting technology services at fast rates and restaurants need to keep up with the pace and ensure they are offering the most advanced ways to order and deliver food. Eating Out Over New Sneakers: Today’s younger consumers are making it clear that experiences are far more important than the newest product, and the foodservice industry is one of the greatest recipients of their dollars. Restaurants are also seeing this as a rising trend with all generations, as dining out is considered one of the most popular experiences. The expectations of diners, especially millennials, are high as they seek out sophisticated, unique and high-quality dining concepts. In order to meet the varied demands of consumers, shopping centers should provide a mix of local, national and international offerings. In the U.S. and many other countries, chain restaurants are seeing challenges in maintaining foot traffic and are focusing on delivering decor and excitement that modern diners expect. Retailers and shopping centers need to be ahead of the latest gourmet trends, to deliver food concepts that encourage consumers to return. Details matter: especially when it comes to location of foodservice operators, as it is critical to attracting major foot traffic. The study recommends looking at two main factors when determining location strategy, the quantity of the surrounding foodservice and the category of foodservice. Typically, 20 percent of foodservice space should be dispersed across an entire shopping center and feature food service categories such as “refuel and relax” (i.e., coffee shop) or “impulse” stores (i.e., ice cream or candy). The other 80 percent that should be clustered together and include fast casual, fast food and casual dining stores. Gourmet and finer dining establishments located at entry and exit points can draw in and retain maximum foot traffic. This rate of rapid expansion coupled with an increase in money invested and oversaturation in the market creates the perfect environment for a restaurant bubble. The potential rising costs of operations and minimum wage in the U.S. further exacerbate the situation. 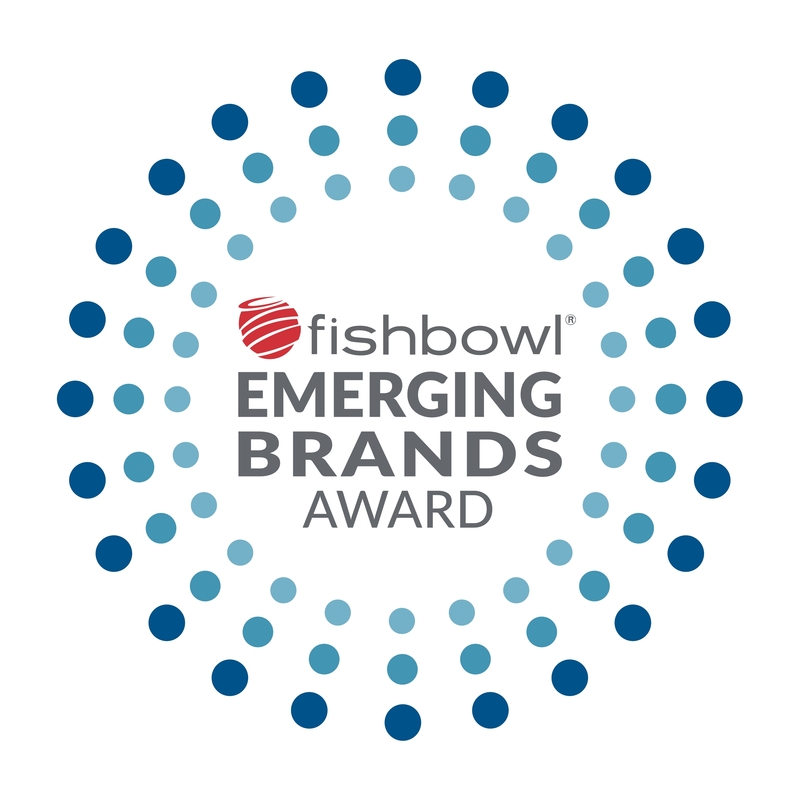 Fishbowl released its annual “Emerging Brands” report, identifying brands best positioned to succeed in the year ahead, as identified through social media analytics. Historically, this report has identified emerging brands in the restaurant industry that have broken through and delivered on the strong promise of growth while embracing progressive developments that are innovative and unique. Consumers are usually eager to ‘discover’ these concepts, becoming emotionally invested in the brands’ growth. This, in turn, creates a sense of ownership that can drive loyalty allowing concepts to develop more quickly, and experience significant growth and success in a shorter-than-average time frame. Concepts like Mendocino Farms, Tender Greens and Shake Shack, are all restaurant chains that have experienced this effect as recognized emerging brands. This year’s report is no exception. It is an impressive list of newcomers as well as some repeats from 2016 which are continuing to innovate and push ahead in what many are saying is an increasingly tough market. The Top Ten Emerging Brands for 2017 are: Sweetgreen (up to #1 from #3 last year), VERTS Mediterranean Grill, Xian Famous Foods, &Pizza, Asian Box, Cava Grill & Cava Mezze, Dinosaur Bar-B-Que, Founding Farmers, Sushirrito and Epic Burger. While each brand is unique, they share important commonalities—in addition to producing best-in-class food that is generating excitement on the merits of quality and taste, they also exemplify clear missions that resonate with their customers. “Mission-driven restaurants, that focus on delivering against their promise through the table stakes of quality, good-tasting food, and delighting customers with exceptional service, can break through clutter and win in a very crowded and noisy marketplace,” says Mike Lukianoff, Fishbowl’s Chief Analytics Officer. Fishbowl’s Social Media Analytics is one key component in the suite of analytical capabilities that Fishbowl delivers to the restaurant and retail industry. Providing clients with deep insights about their customers’ experiences, preferences, buying behaviors, recommendations on menu management and item pricing, and detailed information about the competitive landscape, Fishbowl offers comprehensive analytics suite solutions that change the way data is perceived and leveraged. Chick-fil-A, Chipotle Mexican Grill, and Hardees deliver the best customer experience in the fast food industry, according to the 2017 Temkin Experience Ratings, an annual customer experience ranking of companies based on a survey of 10,000 U.S. consumers. Chick-fil-A took the top spot out of the 24 fast food restaurants included in this year’s ratings, earning a score of 83 percent and coming in 2nd place overall out of 331 companies across 20 industries. Chipotle and Hardees tied for second place, each with a rating of 82 percent and an overall rank of 4th. “It’s impressive that every single fast food company we looked at delivers a customer experience that’s either “good” or “excellent,” states Bruce Temkin, managing partner of Temkin Group. Overall, the fast food industry averaged a 76 percent rating in the 2017 Temkin Experience Ratings and came in 2nd place out of 20 industries. The average rating of the industry improved by five percentage-points between 2016 and 2017, going from 71.1 percent to 76.5 percent. The ratings for all fast food restaurants increased between 2016 and 2017, except for Taco Bell, whose score decreased by two percentage-points. Baskin Robbins and KFC improved the most, each gaining 12 points in the last year. To generate these ratings, Temkin Group asked 10,000 U.S. consumers to evaluate their recent experiences with a company across three dimensions:success (can you do what you want to do? ), effort (how easy is it to work with the company? ), and emotion (how do you feel about the interactions?). Temkin Group then averaged these three scores to produce each company’s Temkin Experience Rating. While vegan is a hot market worldwide, it seems that Germany is the leading country for vegan product innovation globally. According to Mintel’s Global New Products Database (GNPD), Germany was the leading market for vegan food and drink product launch activity in 2016, with 18 percent of all global food and drink product launches with vegan claims occurring in Germany. The only country coming close to this amount of vegan launch activity in 2016 was the United States, where 17 percent of all new global vegan food and drink products were launched, followed by the UK with 10 percent global share. Mintel research reveals that vegan-friendly launches have soared over the past few years in Germany, with the share of food and drink products featuring vegan claims in total food and drink launches rising from 1 percent in 2012 to 13 percent of all launches in 2016. This is in stark contrast to the fact that, globally, food and drink products with vegan claims only accounted for 4 percent of new food and drink introductions in 2016. Vegetarian claims have also witnessed growth in recent years in Germany. Over the past five years, the share of food and drink launches with vegetarian claims in total food and drink product launches in Germany more than doubled, rising from 3 percent in 2012 to seven percent in 2016. The global share of food and drink product launches with vegetarian claims is, meanwhile, relatively stable at around 11 percent of all food and drink launches in 2016, with little fluctuation over the last five years. Vegetarian claims have also witnessed growth in recent years in Germany. Over the past five years, the share of food and drink launches with vegetarian claims in total food and drink product launches in Germany more than doubled, rising from three percent in 2012 to 7 percent in 2016. The global share of food and drink product launches with vegetarian claims is, meanwhile, relatively stable at around 11 percent of all food and drink launches in 2016, with little fluctuation over the last five years. Currently there is a strong following for meat-free diets in Germany with as many as 7 percent of German adults considering themselves to be vegetarian, while 5 percent claiming to be vegan, however it seems that younger generations in particular are embracing the lifestyles. Mintel research shows that 14 percent of 16-24 year old Germans identify themselves as vegetarian and one in ten (10 percent) are vegan. In comparison in France 13 percent of 16-24-year-olds identify themselves as vegetarian, followed by 11 percent in Italy, Spain (8 percent) and Poland (11 percent). The picture is similar for vegan consumers aged 16-24, with 12 percent of this age group in France following this diet, followed 9 percent in Italy, Spain (7 percent) and Poland (10 percent). However, while the levels of vegan and vegetarian product launch activity continues to rise in Germany, research from Mintel GNPD shows that the number of meat-substitute products launched in Germany fell by 17 percent between 2015 and 2016. “The image of vegans has undergone a significant shift in recent years. The decline in meat substitute product launches could be a sign that the current offering does not fulfill consumer expectations. The trend towards naturalness plays a dominant role in the food choices of German consumers, who prioritise health benefits of unprocessed, natural and wholesome products. Germans are also very distrustful towards the content of the food and drink products they buy, opting for natural products with short ingredient lists,” she added. Mintel research confirms this, revealing that one in three (33 percent) of German adults regularly check the ingredients list, while 35 percent avoid food and drink products with artificial additives and preservatives. And it seems that the majority of meat substitute products do contain some sort of food additives: according to Mintel, over two thirds of German launches in 2016 in the meat substitute segment contained stabilisers (74 percent), thickeners (72 percent) and bulking agents (63 percent); while over half included emulsifiers (63 percent) and gelling agents (52 percent). A new survey shows how businesses ultimately pay a price for having unpleasant restroom conditions – and reap the rewards of providing good ones. 56 percent of American adults said they are unlikely to return to a business after experiencing unpleasant restrooms, according to the Healthy Hand Washing Survey by Bradley Corp. Other disheartened customers will complain to management, tell a friend, post a comment on social media or leave right away without completing their business. Conversely, businesses that have pleasant, well-maintained restrooms can turn into customer magnets. 70 percent of Americans say they have made a conscious effort to select a specific business because it has restrooms that are cleaner and better maintained. That number is even higher for Millennials – 77 percent of respondents aged 18-34 say they’ve patronized certain businesses because they have cleaner restrooms. “Depending on their condition, public restrooms can become significant business liabilities – or ringing endorsements,” said Jon Dommisse, director of global marketing and strategic development at Bradley Corp., a manufacturer of commercial washroom products. “Good restrooms clearly give businesses a competitive edge. Moreover, expectations for a business’ restrooms are clearly tied to customers’ perceptions of the quality of the goods or services. According to the survey, 92 percent expect that a business that provides high quality products or services would also have restrooms that deliver a high quality experience. Despite the high value that customers put on restroom conditions, the survey also uncovered an adverse trend showing that more businesses are at an increased risk for losing customers due to messy facilities. In 2017 almost 70 percent of Americans said they recall having an unpleasant restroom experience – that number was only 60 percent in 2015. Dommisse said that keeping regular scheduled maintenance on the radar is essential, citing the following common restroom aggravations uncovered by the survey: empty or jammed toilet paper dispensers (mentioned by 93 percent of respondents); clogged or unflushed toilets (87 percent); stall doors that don’t latch (81 percent); bad smells (79 percent); and an overall appearance that’s old, dirty or unkempt (79 percent). Further, Americans don’t like touching things in public restrooms and they use all sorts of techniques to avoid coming into contact with surfaces like relying on their foot to operate the toilet flusher, using a paper towel to grasp the door handle and hovering over the toilet seat. When asked what restroom improvements they’d like to see, it’s not surprising that cleanliness topped the list. After that, Americans want touchless fixtures and better stocking of supplies, such as toilet paper, soap and paper towels. The Committee for Economic Development of The Conference Board (CED) released a report detailing the U.S. food and beverage industry’s economic impact on the nation’s economy. The non-partisan, business-led public policy organization presented the findings at a forum comprised of industry leaders at the National Press Club. The report is part of a series of research studies designed to measure the impact that certain industries have on the U.S. economy. Last year, CED released Child Care in State Economies, which examined the economic effects of the child care industry in states throughout the U.S. The Economic Contribution of The Food and Beverage Industry examines, specifically, how the industry contributes to growth and innovation; the industry’s impact on regional economies; how it responds to emerging and dynamic consumer demand; and, the role of public policy in shaping the market environment for the industry. The industry employs 1.46 million workers in nearly 27,000 establishments, accounting for 13 percent of total U.S. manufacturing employment. It makes an especially robust contribution to lower-population states, accounting for more than 20 percent of all manufacturing employment inNebraska, Idaho, Iowa, South Dakota, Delaware, and Hawaii. Food (including beverages) is the only major product category in which the United States maintains a positive trade balance with other countries, reflecting our nation’s strong comparative advantage. While other divisions of the manufacturing sector have waned, the food and beverage industry has remained far more stable due to the steady demand for food and the industry’s continuous innovation. The industry alone generates a $164 billion in value added. The value added paid out includes $83 billion in total salary and benefits, $9.7 billion in taxes, and $62 billion in property income. Every dollar of the industry’s output generates between $0.40 and $1.35of additional economic activity in local economies. Additionally, every dollar of the industry’s output generates $1.27 of economic activity in the U.S. economy with expanded international sales. At least 40 percent of the industry’s new foods and beverages have positive nutrition or health attributes, in response to consumer demand for healthful products. The industry spends $5.4 billion annually on research. Venture capital firms invest another $3 billion to fund innovations in food market and processing technologies. The industry contributes to food affordability. U.S. consumers spend less than 10 percent percent of income on food, and less than consumers in other comparable countries. The industry transforms raw farm commodities from more than 2 million farms into consumer food and beverage products; they are marketed through nearly 700,000 retail stores and foodservice outlets. The industry provides the link between farms and retailers to meet the needs of 320 million U.S. consumers. “The industry is an important contributor to GDP growth and jobs at both the national as well as at the regional and local levels,” said Mike Petro, Executive Vice President of CED. Adding Spot HD printing technology to conventional signage printing techniques has a measurable impact on increasing sales of premium and ancillary items according to an exclusive study commissioned by Windsor Marketing Group (WMG) and conducted by the research team from Bentley University’s Center for Marketing Technology. WMG, a leading producer of in-store marketing solutions for many of the world’s premier retailers, asked Bentley researchers to measure the impact of emerging HD merchandising production technology on consumers in order to better understand how different types of in-store marketing printing techniques affect what a viewer sees and what the viewer recalls. The study was specifically designed to focus on ability of next-generation digital printing to make a visual more attractive and memorable to viewers, creating sensory and appetite appeal. A series of experiments were devised in the Bentley University Center for Marketing Technology in which a sample group of consumers were fitted with special glasses designed to measure the movement of the eyes. Participants were then shown visuals using High Definition (HD) and Conventional print techniques, and another used Spot High Definition produced from WMG’s cutting-edge G-traxTM system. Finding 1 (Focus Speed): On average, Spot HD printing attracted eyes to the target focal area 8.2 percent faster than conventional methods. Finding 4 (Ancillary Item Purchase Intent): On average, consumers are 8 percent more likely to purchase an ancillary item such as a bottle of wine that was merchandised with a primary item such as a pizza or steak when the ancillary item was printed in Spot HD vs. conventional techniques. WMG invested in the study and has used the results to develop an in-store marketing effectiveness execution model, the Hierarchy of Signage. The Hierarchy of Signage give WMG a process through which they can evaluate their customers’ marketing objectives against available solutions based on sound, measurable insight, and match the solution that best accomplishes them. The Brewers Association (BA)—the trade association representing small and independent1 American craft brewers—today released 2016 data on U.S. craft brewing growth. With over 5,300 breweries operating during the year, small and independent craft brewers represent 12.3 percent market share by volume of the overall beer industry. In 2016, craft brewers produced 24.6 million barrels, and saw a six percent rise in volume3 on a comparable base and a 10 percent increase in retail dollar value. Retail dollar value was estimated at $23.5 billion, representing 21.9 percent market share. By adding 1.4 million barrels, craft brewer growth outpaced the 1.2 million barrels lost from the craft segment, based on purchases by large brewing companies. Microbreweries and brewpubs delivered 90 percent of the craft brewer growth. The global craft beer market is expected to reach $502.9 billion by 2025, according to a new report by Grand View Research, Inc. 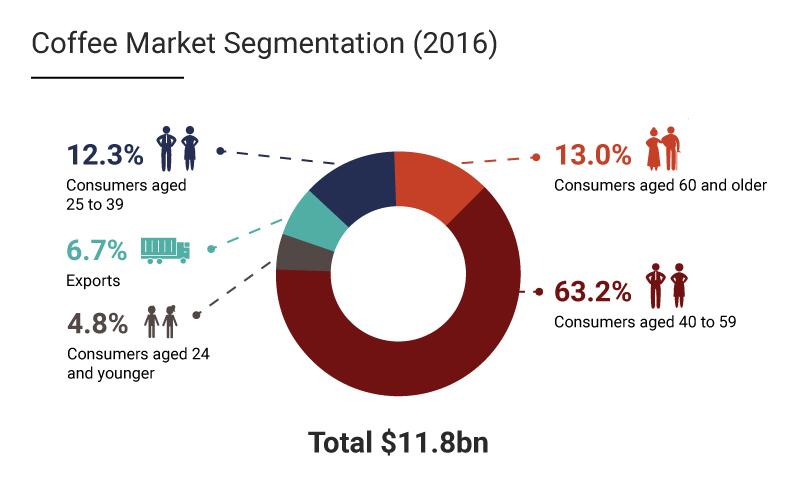 The market is expected to witness substantial growth over the forecast period on account of the rising demand for low alcohol by volume (ABV) and flavored beer. The government in countries including Australia, New Zealand, Belgium,Mexico, China, and the UK are promoting the production of craft beer and incorporation of new breweries on account of the positive contribution of the industry towards economic development and employment generation coupled with the willingness of the consumer to pay extra for better tasting brews. Australia, Belgium, Germany, U.S. and New Zealand are the major craft beer producing countries with over 65 percent of the overall production in terms of value as well as volume. Belgian is the most preferred beer among the major craft beer consuming countries owing to the premium quality, clean taste and rich flavor & aroma of the brews. On-trade distribution of craft beer accounted for over 50 percent in 2015 of the overall volume share, which is primarily attributed to the high consumption of the product in restaurants, bars, and clubs in developed economies including UK, Australia, and Belgium. Middle East & Africa is expected to grow at a CAGR of 28.9 percent owing to the increasing penetration in South Africa. The growing consumer awareness about the wide range of flavors and styles of the product is expected to be a crucial factor for market growth in the country. The Coffee Production market is worth a whopping $13 billion in the U.S., representing a significant and robust industry that’s poised for further growth, according to IBISWorld. The industry purchases coffee beans and processes them into different products that are consumed by a market that mostly consists of adults aged 25 and up. Growing demand from consumers for premium-coffee products has driven much of the growth of the industry, in line with increased per-capita disposable income at an annualised rate of 1.8 percent over the next five years to 2022. 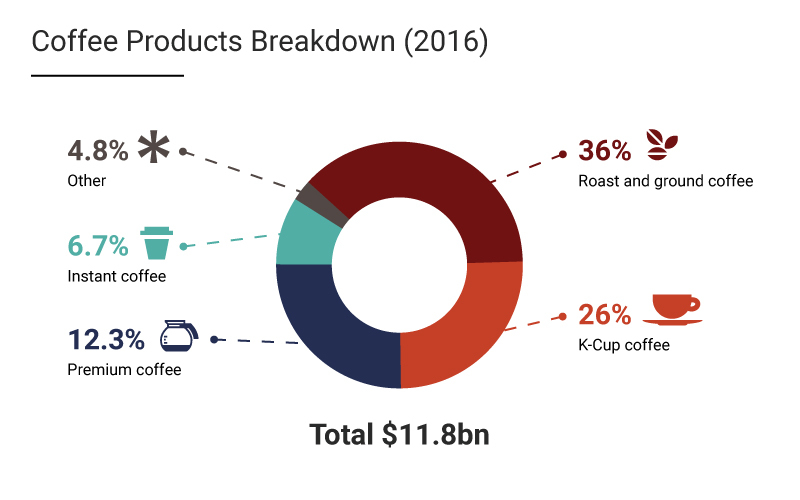 The data visualisations above illustrate the breakdown of the types of consumers, as well as coffee products, outlining who the major consumers of coffee are, and what products dominate the market. Americans between the aged of 40 – 59 are by far the largest consumers, with a disproportionate 63.2 percent of the market. When it comes to coffee products, roast and ground coffee command the largest share of the market, followed by single-use serve K-Cup coffee. Grilled cheese is an American staple with a cult-like following of loyal fans. It is often considered a classic meal, but for many Americans, it’s an opportunity to experiment and get creative with food, but just how creative? A recent national survey conducted in honor of April’s National Grilled Cheese Month by Sara Lee®, revealed nationwide preferences when it comes to the beloved cheesy sandwich. 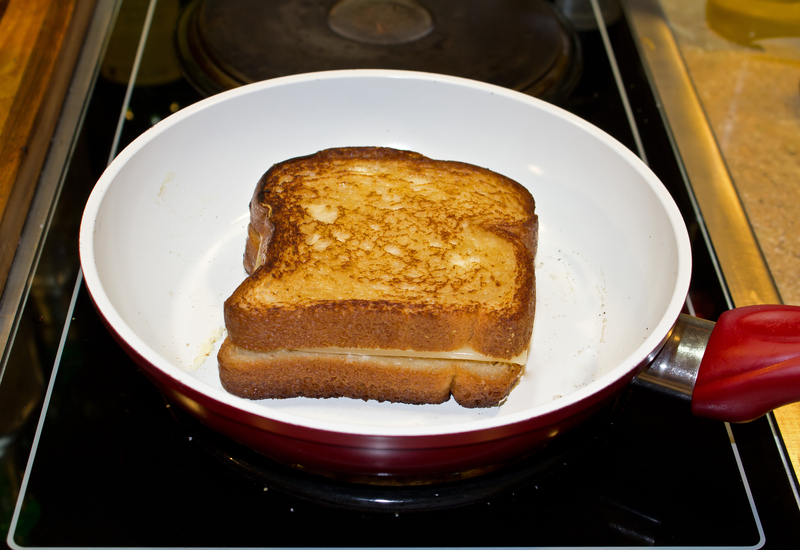 The data uncovered that there are not only two sides to a grilled cheese sandwich (literally) but also two sides to grilled cheese enthusiasts — those who prefer the cheesy sandwich in its simplest form (only bread and cheese) and those who are willing to get creative with their ingredients. For many Americans, dubbed the “Traditionalists,” the sandwich is best left as is with a classic cheese variety between two slices of timeless white bread. For others, in more of the “Adventurists” camp, there is no limit to grilled cheese ingredient experimentation. In fact, the survey uncovered that those with blonde hair are most likely to try new ingredients in their sandwiches — 82 percent of blonde Americans surveyed said they’d prefer more than just cheese on their grilled cheese sandwiches, compared to only 67 percent of brunettes. Fifty-five percent of those surveyed can be classified as grilled cheese Traditionalists, meaning there’s only one kind of cheese for them, with the survey finding the two most popular cheese options are American or cheddar. More than a quarter of Americans feel a grilled cheese should be kept to just the main ingredients — bread and cheese, and nothing more — but if these purists had to choose additional fillings, they would most likely include tomato (39 percent), bacon (38 percent), ham/pork (32 percent), or eggs (22 percent). So, who are these grilled cheese Traditionalists? The survey unveiled that they’re most likely brunettes, in their 30s, or over the age of 55. For instance, those 55+ were more likely to say they would never try the following inside their grilled cheese sandwich: pickles (50 percent), avocado (49 percent), onions (43 percent), or turkey (30 percent). The grilled cheese Adventurists are the ones who are up for a thrill-seeking sandwich experience. In fact, the survey uncovered that almost two-thirds of Americans would eat a “mystery” grilled cheese without having a clue what’s inside or even what type of cheese is included, and it’s more likely that these Adventurists are blondes. Those with a child in the household are also more likely to try a mystery grilled cheese. How adventurous are this group of grilled-cheese lovers willing to get? More than one in five respondents will put onions on their grilled cheese sandwich (22 percent), and almost that amount will include pickles or avocado, while one in ten will include apples. The write-in fillings, however, were where the true Adventurists really shined. Their “something else” grilled cheese accompaniments included everything from mayonnaise or mustard, to tuna, sauerkraut, peanut butter or jelly/chutney. Additionally, 17 percent of respondents prefer a mix of cheeses as the core of their sandwiches. Conflicting sources of information about food and nutrition and confusing label claims make it difficult for families to navigate grocery aisles around the world according to a new global survey sponsored by the Enough Movement. Key findings showed that people across the globe care about what goes in their food and on their tables, but even the most diligent consumer admitted they don’t really know the meaning of many food labels, the differences in farming methods like organic and conventional and the environmental impact. Two-thirds of survey respondents report buying “all natural” or organic foods motivated by a perception that they are healthier and safer. In fact, 99 percent of organic purchasers expressed confidence in their understanding of the organic label. Yet the data shows a significant gap between their perceptions of what it actually means. The main motivation consumers report for buying organic – 82 percent – is because they believe organic foods to be pesticide free. Organic does not mean pesticide free. Organic farmers may use a variety of chemical sprays and powders on their crops manufactured from natural sources, including substances like boron, copper sulfate and pyrethrin similar to the synthetic versions used in modern farming. No Added Hormones and No Antibiotics were other confusing labels. More than 60 percent of consumers thought No Added Hormones meant there were no hormones in products with that label, while another 25 percent thought products with this label were higher quality. Meanwhile, about one-third of consumers believed antibiotic free meant non-labeled products contained antibiotics. All living things contain hormones – people, plants, animals, and therefore the food we eat. There are no added hormones used in pork or poultry production around the world, even though about three-quarters of consumers surveyed believe they are. In beef and dairy production, hormone levels in food from animals supplemented with hormones are nearly identical to those that aren’t. And, hormones in naturally hormone-rich foods like cabbage and soy contain far higher levels than meat, milk and eggs. Regardless of whether an animal was sick and treated with an antibiotic or was raised entirely without antibiotics, the food you buy is free from any harmful antibiotic residue. Testing ensures it. Modern, organic, industrial, family farm. Consumers have a lot of questions about how food is raised and how farmers care for animals and our resources. More than half of survey respondents (52 percent) believe that the majority of farms are run by corporations. In the United States, 97 percent of farms are family owned and 88 percent are small family farms. The percentage of family-owned farms globally is 90 percent. Nearly 70 percent of survey respondents choose organic foods because they believe they’re better for the environment. Organic farming produces less food – about 25 percent less on average. It requires significantly more land and resources to produce the same yield as modern farming methods. For example, to have raised all U.S. crops as organic in 2014, farmers would have required an additional 109 million acres of land, about the size of California. While organic methods use less fertilizer, herbicides and energy, modern farming methods resulted in less soil erosion. In fact, modern farming practices are often the most environmentally sustainable, using innovation to decrease the amount of land, feed and water to raise meat, milk and eggs today. 91 percent of people surveyed believe the number one way to eliminate hunger globally is to eliminate food waste. According to the Food and Agriculture Organization of the United Nations, 30 to 40 percent of food is lost in production each year making it a significant challenge. But, food waste is more than just veggies wilting in the fridge, and occurs across the entire production system. In animals, more than 20 percent of production is lost to death and disease, regardless of production system11. Best management practices and tools that help keep animals healthy are critically important to this challenge, as are making shopping decisions that support sustainable farming. The Truth About Food Survey, conducted by Kynetec, included 3,337 urban consumers in 11 countries – United States, France, Germany, United Kingdom,Italy, Turkey, Brazil, Mexico, Colombia, Argentina and Peru. The survey response level provides a margin of error of +/-5.7 percent at 95 percent confidence level. Today’s consumers are more concerned than ever before about the foods they eat, yet they struggle to find the nutrition information needed to make informed purchasing decisions. Label Insight’s 2017 Shopper Trends Study reveals that nearly half of consumers (49 percent) adhere to a particular diet or nutrition plan, and 75 percent avoid specific ingredients when shopping for food products. But, 67 percent of consumers say it is challenging to determine whether a food product meets their needs simply by looking at the package label, and nearly half of consumers (48 percent) consider themselves “not informed at all” about a food product even after reading the label. Health Conscious Consumers: Nearly half (49 percent) of consumers adhere to a particular diet or health-related eating program. Dietary Restrictions: Nearly half (44 percent) of consumers say food allergies, intolerances, or sensitivities affect the way they shop. Ingredients Matter: 98 percent of consumers believe ingredients are an important consideration in the food products they buy, and 75 percent of consumers examine ingredients before they buy to ensure products meet their dietary needs. Challenges Meeting Dietary Needs: 67 percent of consumers find it challenging to determine whether a food product meets their needs by reviewing the package label. Lack of information: Half of consumers (48 percent) consider themselves to be “not informed at all about the product” after reading a product’s label. Online Product Research: 83 percent of consumers take the time to look elsewhere for food information when food packaging and labels are insufficient, and 74 percent of consumers conduct online research for more information. Consumers’ focus on health and wellness has driven them to seek out more information about products than is typically included on product packaging. This shift continues to fuel the product transparency movement, and has motivated CPG brands and retailers to provide complete and accurate product information which can unlock value with consumers – from custom merchandising and dietary personalization at the retail level, to enhanced transparency initiatives like SmartLabel™ for CPG brands. A report from BIA/Kelsey titled “Advertising and Marketing Trends of Franchisees” reveals 65 percent of franchisees surveyed use co-op dollars for advertising and promotion, with more than one-third reporting that up to half of their ad spend comes from co-op dollars. The report is based on data from BIA/Kelsey’s Local Commerce Monitor™ (LCM) Wave 20 survey of small and medium-sized businesses. This new report specifically examines the media and marketing spending behaviors of the SMBs that self-identified as franchisees or licensees of a national company. The report reveals that half of all franchisees are planning to increase their ad spend in the next year and spend across an average of 20 different ad channels to reach customers. Quick adopters of new technology, the majority of franchisees use a quarter to a half of their total annual ad budget from co-op programs on both traditional and digital channels. Programs focus on targeted digital such as search and display and traditional channels like direct mail, radio and community sponsorships. Avocado, jalapeno, acai, ginger and miso are some of the standout dressing flavors operators are purchasing to spotlight on restaurant menus. According to data from Technomic’s latest Volumix Salad Dressings Report, total volume of this category had a modest increase in 2016 from the previous year. Liquid salad dressings had stronger volume growth over dry dressings. This information, as well as the wealth of other valuable data points featured in the Volumix Salad Dressings Report, can give suppliers visibility into what brands and products operators are purchasing and for what price, also showcasing new product entrants giving perspective on trends evolving in the category. 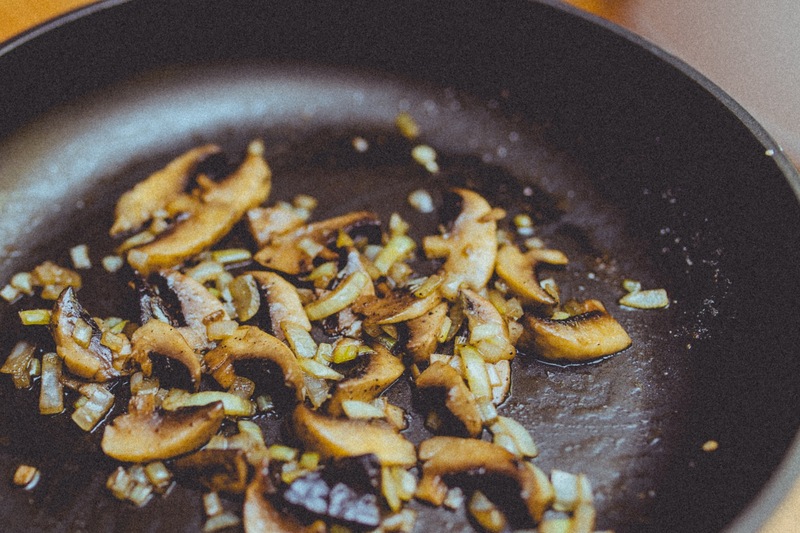 The mighty mushroom not only is healthy on the plate, it’s also gentle on the planet – according to a new study measuring the water, energy and carbon emissions required to grow and harvest fresh mushrooms in the United States. The study finds production of a pound of mushrooms requires only 1.8 gallons of water and 1.0 kilowatt hours of energy, and generates only .7 pounds of CO2 equivalent emissions. In addition, the annual average yield of mushrooms is 7.1 pounds per square foot – meaning up to 1 million pounds of mushrooms can be produced on just one acre. The Mushroom Sustainability Story: Water, Energy and Climate Environmental Metrics 2017 study is the result of a two-year initiative to document mushroom production environment metrics. Researched and developed by SureHarvest, a leading sustainability analysis and research firm, The Mushroom Sustainability Story documents practices at 21 facilities nationwide, responsible for one-third of the U.S. fresh mushroom crop. Researchers collected data for all steps of the mushroom production process, including composting, spawning, casing and pinning, and harvesting. Social listening is the process of collecting social data by monitoring terms, names, and products associated with your brand and/or industry. While the top websites businesses monitor may be obvious – Facebook (93 percent) and Twitter (79 percent) – Q&A forums, like Reddit, news sites, and blogs are also strong sources of social data. Social listening is about thoughtfully analyzing and reflecting on the social data collected and then taking action by adding value for your audience, the report says. Because social listening offers businesses a chance to collect insider information from existing and prospective customers, it’s no surprise that nearly half of businesses surveyed (42 percent) say their main objective is to enhance the customer experience by improving customer service (21 percent) and reaching new clients (21 percent). Engaging with both loyal followers and detractors is essential for forming trusting relationships with customers and continuously improving your business, says Clutch. The data confirms that most businesses monitor customer requests, questions, and concerns (86 percent) instead of their competition (77 percent). Regardless of business size, resource availability, or overall business goals, you can learn a lot from both your competitors’ and your brand’s customers, says Clutch. “Companies need to go beyond basic brand monitoring to get the entire dimensional social story of their consumers and their competitors’ customers,” says Paige Leidig, Chief Marketing Officer at NetBase, a California-based social media analytics platform. A prospective customer’s social story may explain why she’s more likely to use a competitor’s services. Clutch recommends first, listen to understand the underlying reasons behind her decision. Second, engage her to fill a gap. Did she reach out to a competitor and never receive an answer? Respond by answering her question and directing her to a helpful resource your business created. Clutch’s 2017 Social Listening Survey included 300 users of social listening software at companies with 100+ employees in the US. Roughly 90 percent of Easter baskets will include chocolate or candy, according to a national survey by the National Confectioners Association. Nearly 90 percent of parents who celebrate with Easter baskets will help the Easter Bunny stock them with candy or chocolate. Seventy-nine percent said their baskets will also include non-edible items such as crayons, stuffed animals and books. Seventy-five percent of Americans have shared chocolate or candy with friends and family at Easter. When given the choice, 52 percent of Americans believe that chocolate eggs are best filled with cream, caramel or other treats. Thirty-two percent of Americans want their chocolate eggs to be solid, while 16 percent are fine with a hollow chocolate egg. According to survey findings, 91 percent of parents have a plan in place to talk to their children about balance when it comes to sweets and treats. Among parents, 79 percent say they plan to decorate eggs and 71 percent plan to attend an Easter Egg Hunt as part of their Easter celebrations. Candy companies enjoy helping Americans celebrate Easter by creating unique Easter-themed confections. More than 55,000 Americans work in the confectionery industry in more than 1,000 manufacturing facilities across all 50 states. 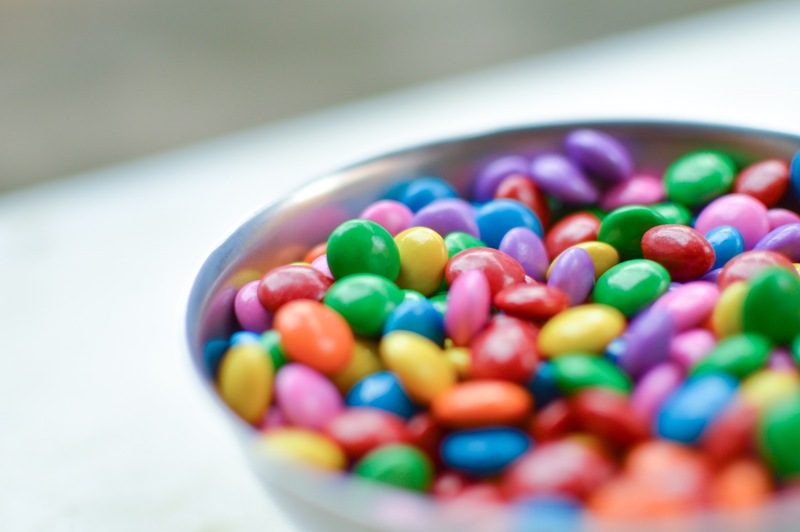 In addition, upwards of 400,000 jobs in agriculture, transportation, and retail are supported by the candy industry. In this study, participants who ate peanuts as part of a meal containing 50% fat reduced the rise in blood triglycerides by 32 percent. In addition, peanuts also caused the participants’ arteries to remain open and flexible. Peanuts contain more protein than any other nut and, more arginine than most other foods. This is important because arginine is used to make nitric oxide, a vasodilator that helps keep blood vessels open and elastic. 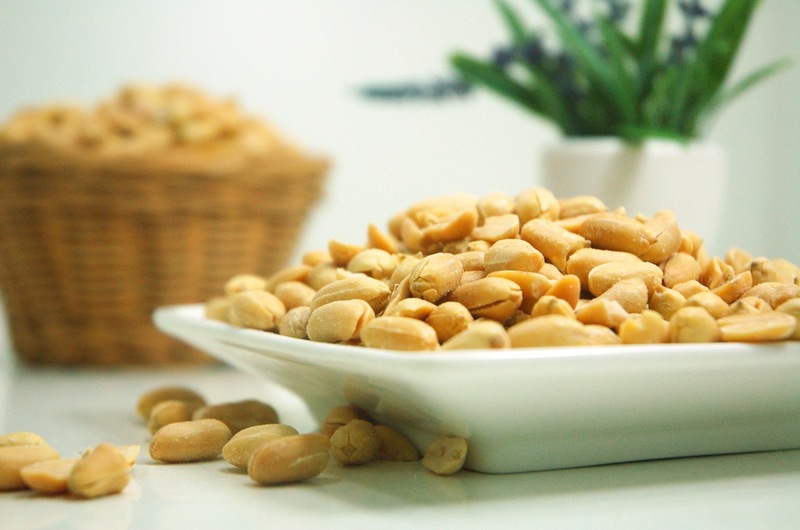 Peanuts contain a rich assortment of bioactives, including resveratrol, plant sterols, flavonoids and antioxidants. Peanuts are also a source of dozens of vitamins and minerals, including niacin, folate, biotin, vitamin E, copper, manganese, molybdenum, and phosphorus. To isolate the effects of peanut protein and bioactives, researchers prepared two shakes: a “control” shake containing a mixture of healthy oils, fiber, and protein from egg whites, and a shake containing peanuts. The fat content in the control shake was an exact match to that of the peanut shake, allowing researchers to test the effects of peanut protein and bioactives specifically.